There are 21 reviews of Chypre Mousse (new). 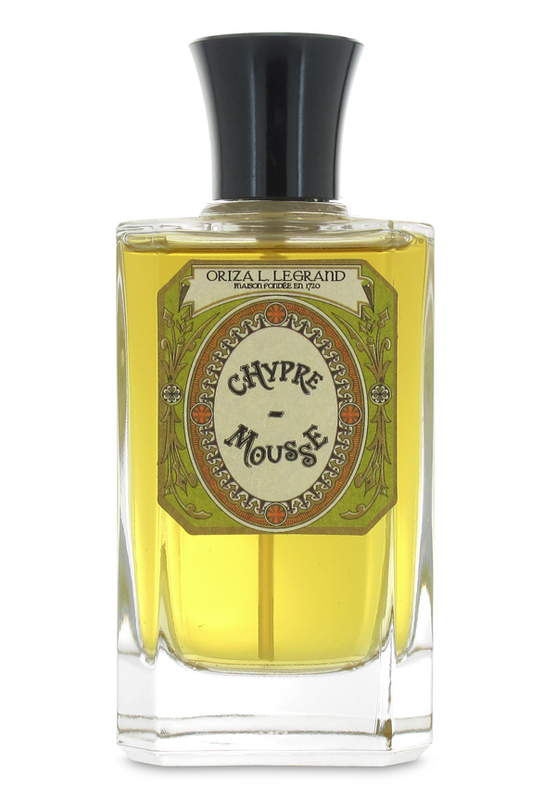 Chypre Mousse is a little bit of all over the place, almost like the golden retriever of the perfume world. It is soft and gentle at the same time. It can't decide what it wants to be. Throughout the wearing went from damp slightly moldy forest floor to herbaceous new sprouting trees and plants. It does capture that perfect mix when walking through the forest after the rain with patches of wet and bright. I like it and hate it at the same time. Another surprising offering by Oriza L. Legrand. These folks know how to make 'em! I detect mint, sage, fennel, and mushroom at the beginning. Green and forest-smell. Deep woods, after a rain, perhaps. But, there is no water note present. It is just moisture saturation. Oakmoss, galbanum, angelica, fern, and clover smother me as though I am laying face down, in the dirt. Dreams and visions of gentle death. Those smothering depths rise to reveal a puzzling lightness in the base. Labdanum and leather, as if smelled from a short distance. Almost unnerving, this one. Well done. Very interesting, excellent strong characterful perfume. Mossy fruity green watery aromatic. Some kinship with Davidoff's Cool Water suggests the presence of myrcenyl acetate. You could also make a comparison with Penhaligon's English Fern, though both these masculine fragrances are usually classified as fougeres rather than chypres. Every scent I've tried so far from Orzia L. Legrand is work. It's an effort to find something to like. Chypre Mousse is another fail for me...just terrible. It does smell like melted plastic as Possum Pie said. I honestly have been trying to like something about one of the scents from this house, but so far it's been virtually pointless. Violets du Czar almost dried into something I could stand wearing, but again, this house is a lot of work. Their scents smell like old, decayed efforts at perfumery from long ago that were discovered in a run down mansion in humid New Orleans. The old decayed and decimated note profiles smell like they'd be right at home on the dried up skin of a zombie. Thumbs down for me. One of the very few scents about which I vacillate even while I'm wearing it. I can love and hate Chypre Mousse both in the space of 5 minutes' time. Put it on, wash it off, put it back on again. Is it a bag of vegetables liquefied and left rotting in the bottom shelf of the refrigerator, or a druid's magic potion found beneath a giant, spotted toadstool? I can never quite make up my mind. Its dark-green complex strangeness reminds me of Onda, while its odd minerality makes me think of the original L'air de Rien. Whatever it is, one thing is certain: it is ODD and almost enchanting. And for me, that is good. Horrible nasty mothballs naphthalene and melted plastic. There is nothing remotely pleasant. Headache inducing and one of the few frags I've ever had to wash off. There are no member images of Chypre Mousse (new) yet. Why not be the first?